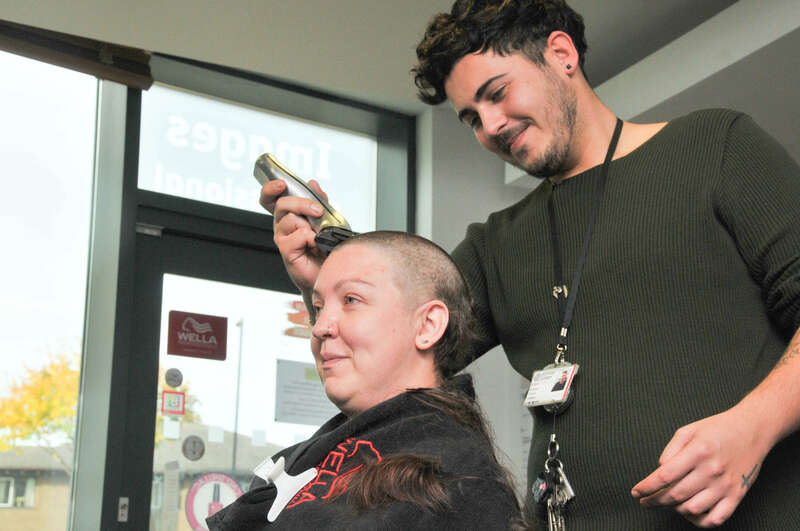 Hair and Beauty student Debbie Firth bravely had her hair shaved to raise money for Macmillan Cancer Support. Debbie, 34, chose to support this charity as both her nephew and auntie are currently fighting cancer, while one of her best friends sadly passed away from the disease earlier this year. Students and staff from the Hair and Beauty department at the college have already donated more than £250 for the cause. The charity uses donations to pay for Macmillan nurses, who help people living with cancer and their families to receive essential medical, practical and emotional support. Debbie joins 24,049 other brave shavers this year who have raised almost £5 million for the charity.